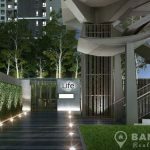 A great opportunity to acquire a modern, 1 bedroom unit at brand new Life Asoke condominium, currently under construction on Asok-Dindaeng Road and just 21 metres from Phetchaburi MRT. 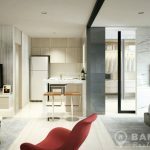 This brand new high rise development with 34 floors on an extensive 6 Rai site, is being built by AP Thailand and is due for completion in 2018. 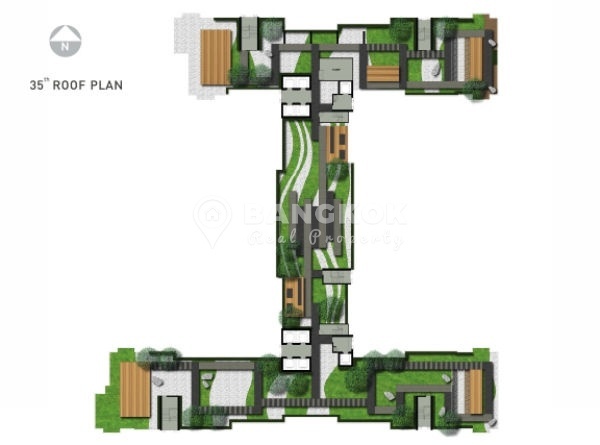 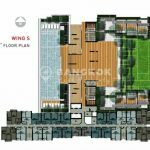 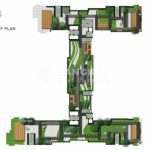 This central location of the condominium means reach access to many amenities including Central Plaza Grand Rama 9, Midtown Asoke, Bumgrungrad Hospital, Sinakharinwirot University, NIST International School and Benjakiti Park & Lake. 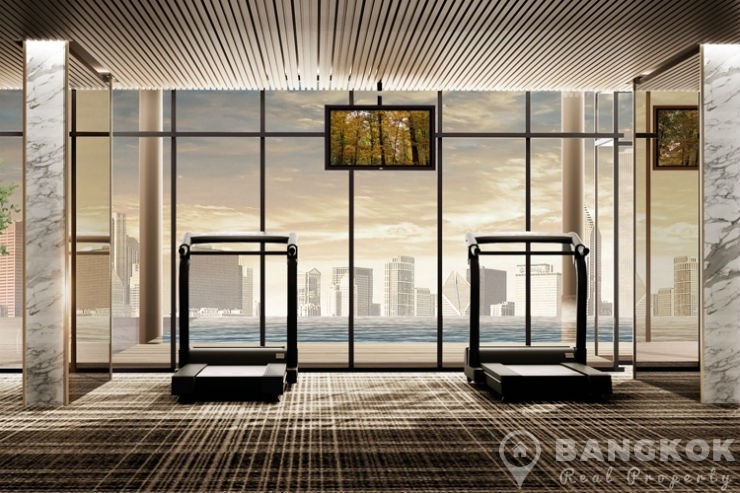 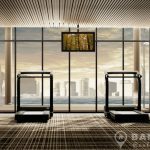 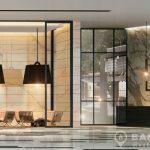 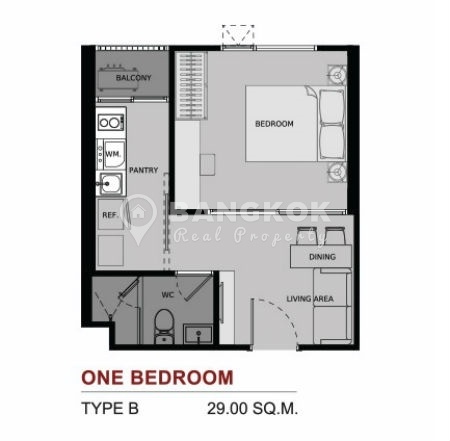 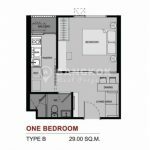 This spacious 1 bedroom unit will be situated on a mid floor of Life Asoke in the North building and this modern unit will have 1 double bedroom, 1 modern bathroom with rain water shower and 29 sq.m of living space with a balcony and city views. 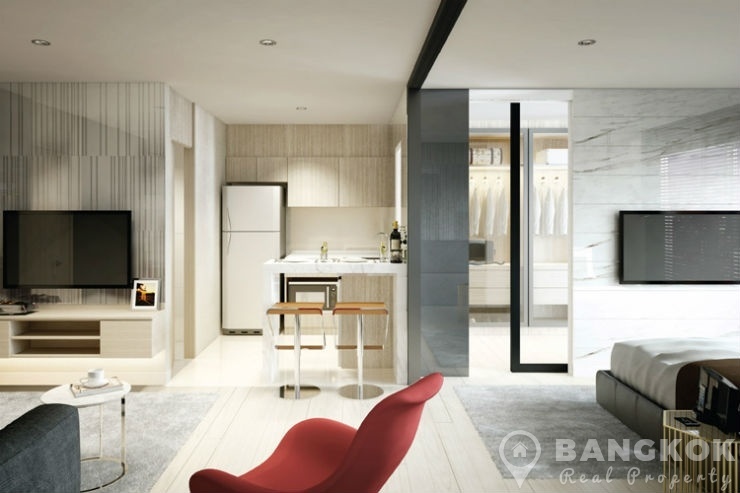 The unit will have a modern European style kitchen and a clean modern decoration style. 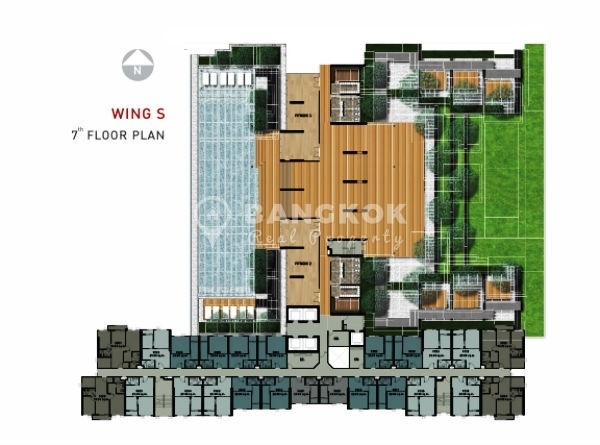 The facilities at Life Asoke are set to be excellent with the development set on a 6 Rai site with extensive landscaped grounds and roof gardens, a large outdoor swimming pool with sunbathing deck and lounge area, fully equipped gym & fitness centre, sauna & steam rooms, children play area on the 7th floor and a 500 metre jogging track and extensive roof gardens on the 35th roof top floor. 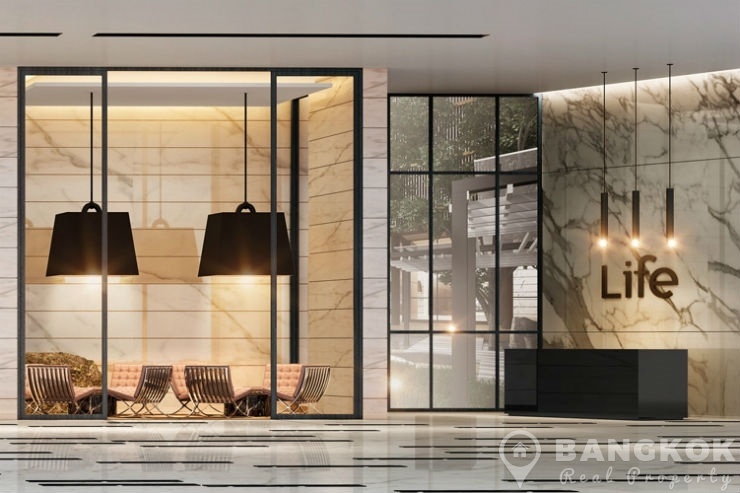 The development also will have key card security, lobby reception with on site management, 24 hour security and covered parking. 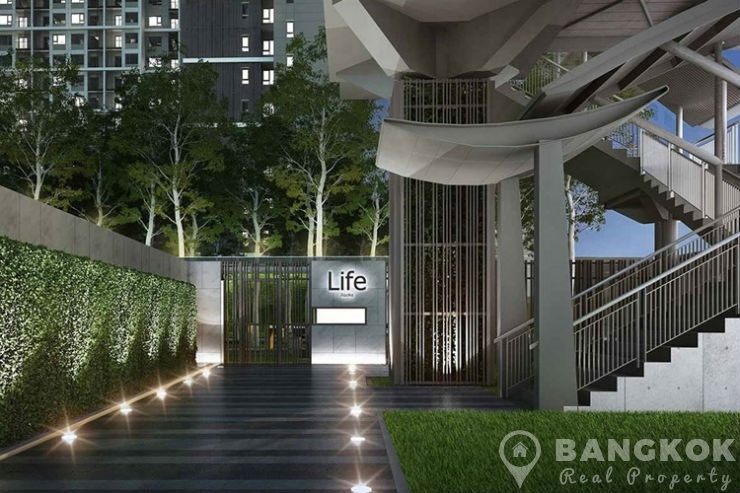 Life Asoke is a brand new condominium project, located on Asok-Dindaeng Road and just 21 metres from Phetchaburi MRT. 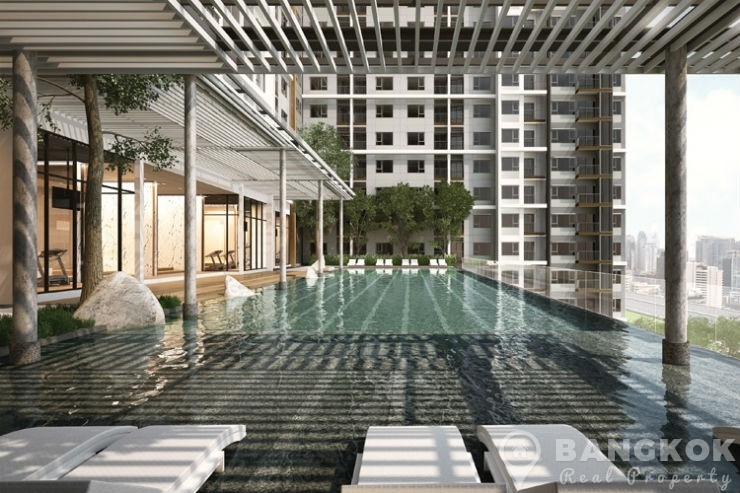 Currently under construction AP Thailand, Life Asoke is set to be completed in 2018 and this high rise project will consist of a single building with 34 floors and 1,642 units.